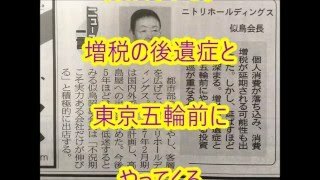 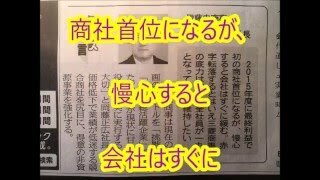 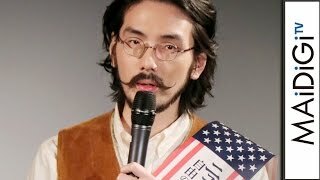 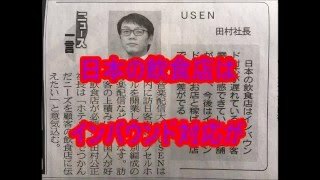 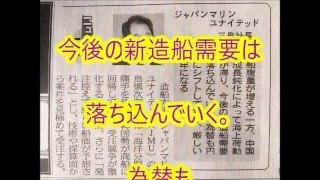 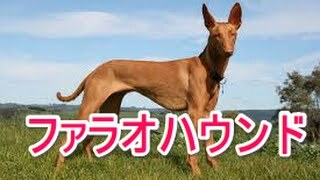 NORTHGATE'S RED RABBIT HUNTER - Muumi. 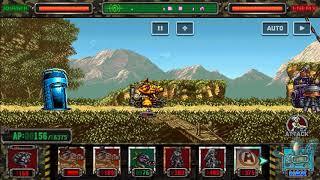 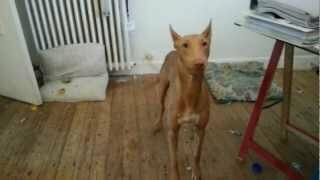 Here is Anubis, running around like usual. 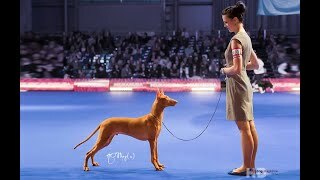 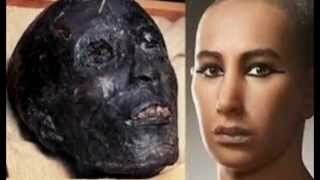 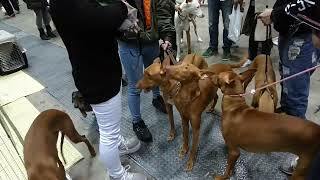 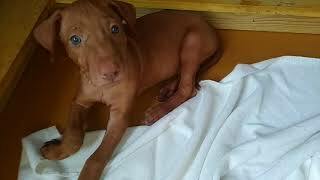 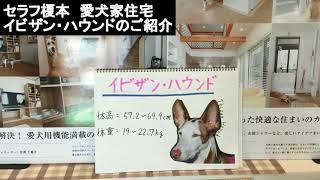 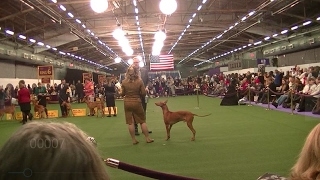 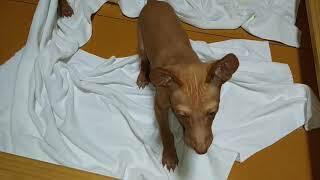 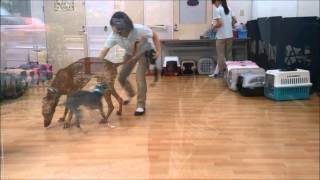 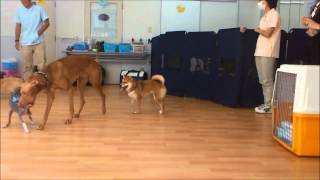 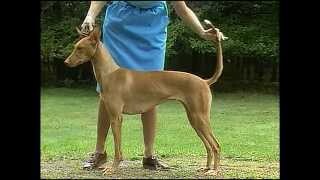 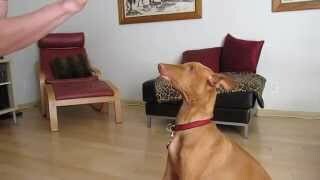 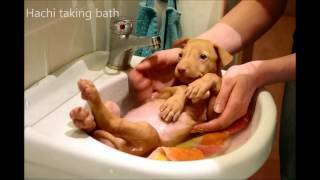 A singing course, Pharaoh Hound Sunny -The singer. 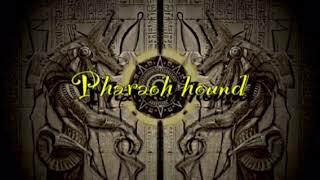 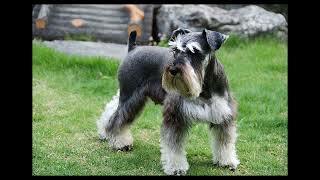 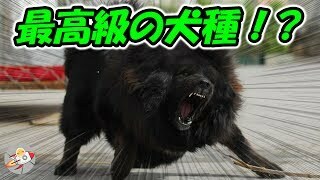 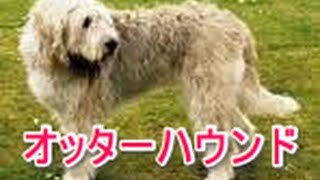 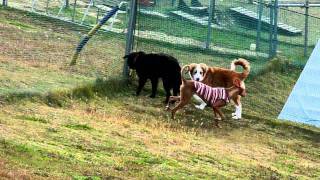 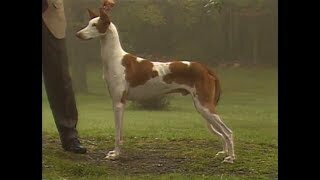 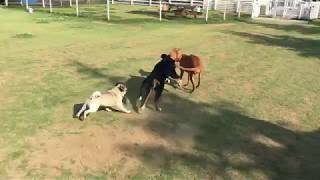 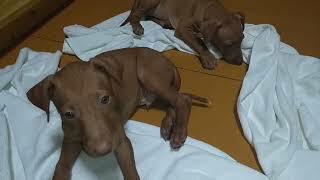 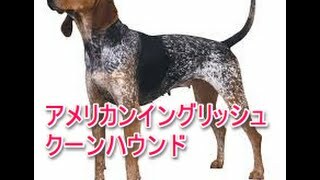 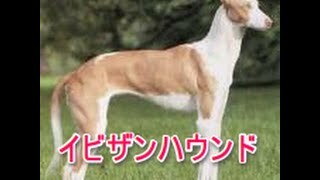 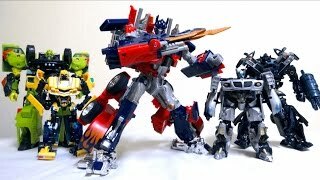 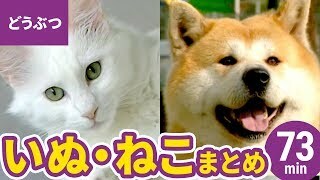 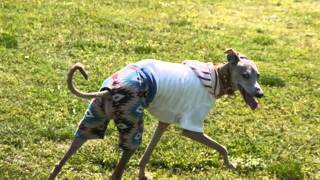 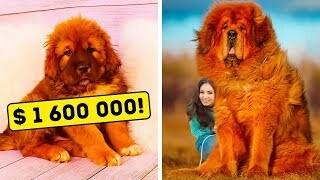 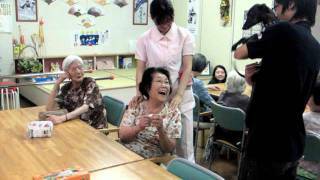 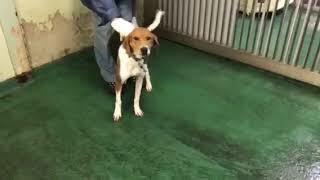 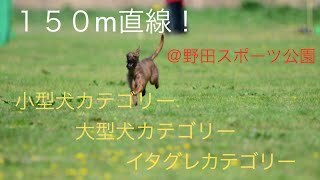 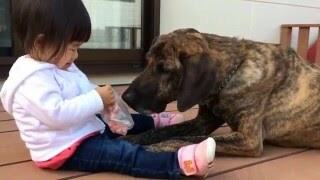 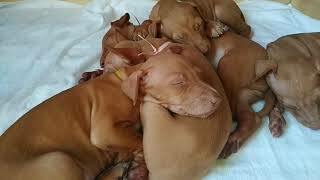 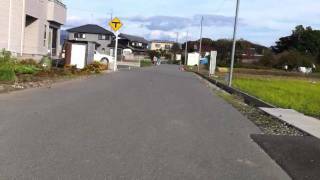 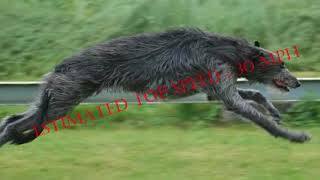 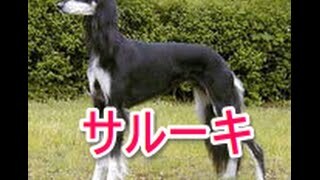 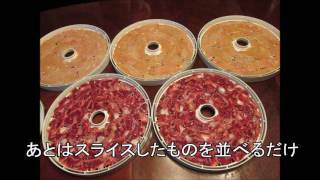 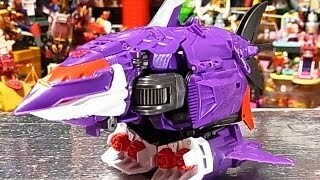 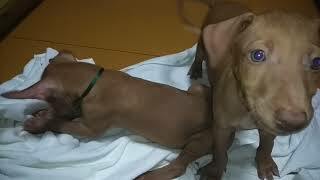 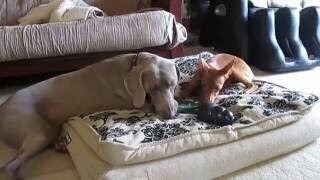 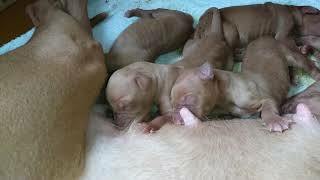 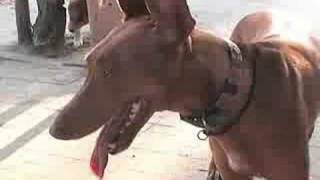 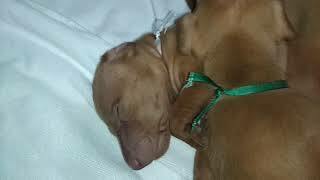 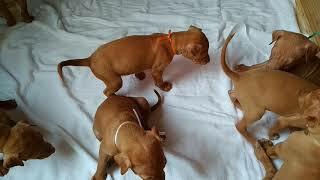 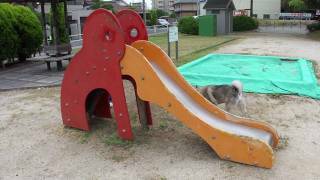 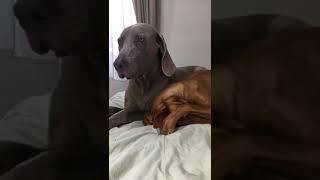 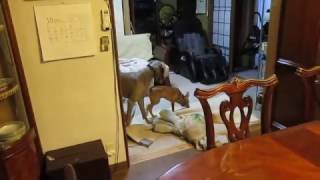 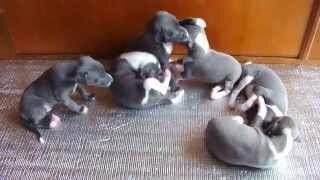 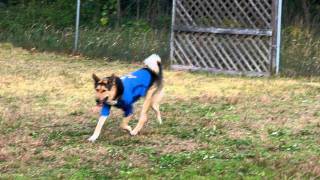 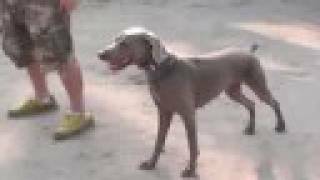 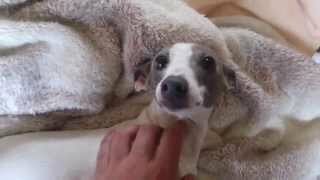 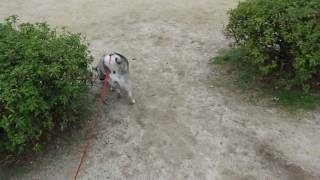 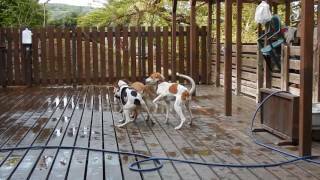 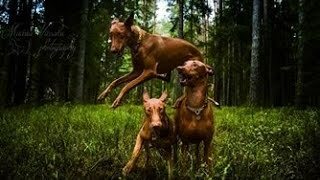 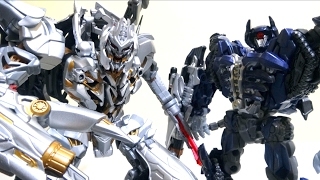 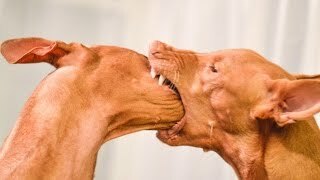 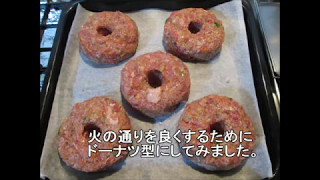 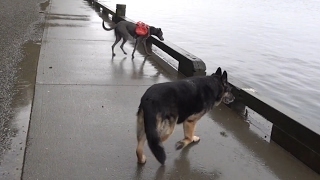 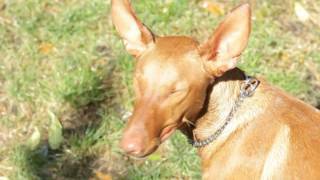 MOVIE: Awsome life with pharaoh hounds! 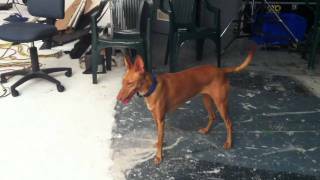 Lulu, my Pharaoh Hound, at the studio. 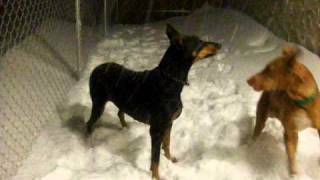 Our Doberman and Pharaoh Hound are having fun in the snow !! 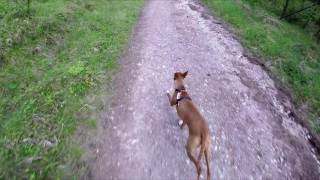 At the dog park at midsummer eve 2014.
first tries with my new GoPro Hero 5. 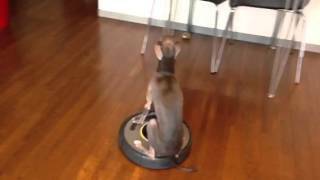 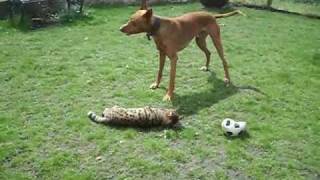 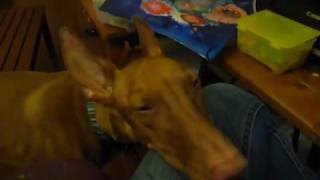 Our Pharaoh Hound is CRAZY!!! 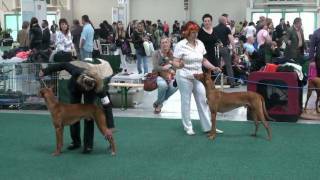 Faraónsky pes: Medzinárodná výstava psov Bratislava 15/05/2010. 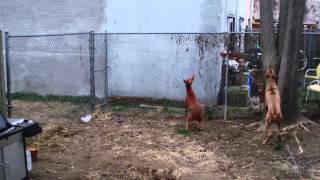 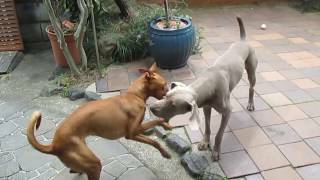 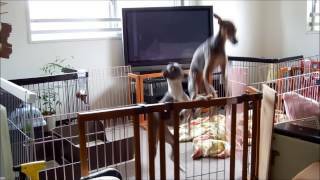 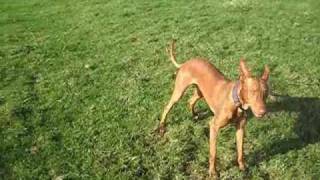 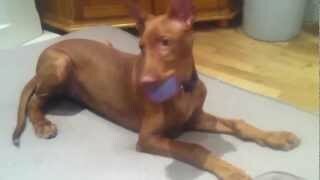 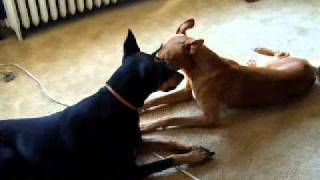 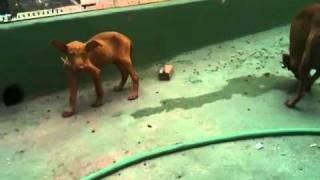 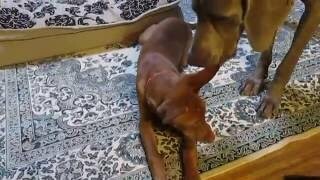 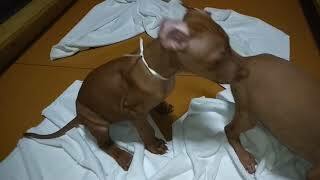 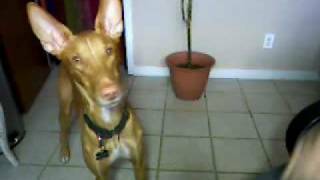 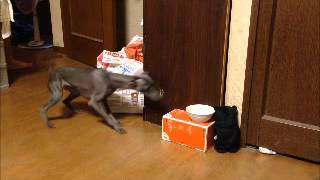 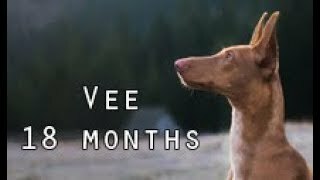 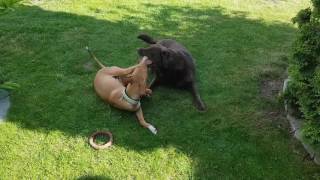 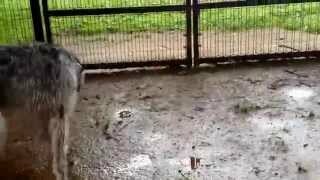 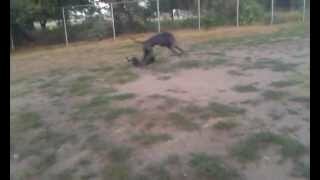 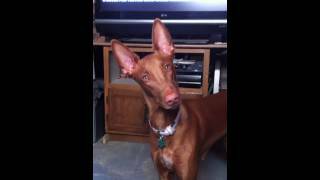 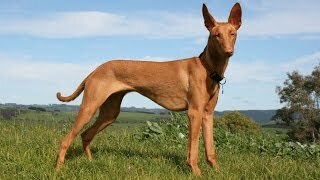 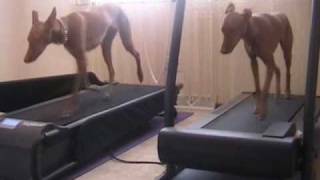 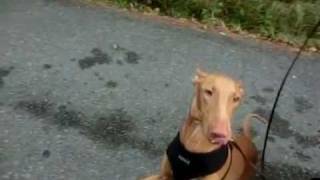 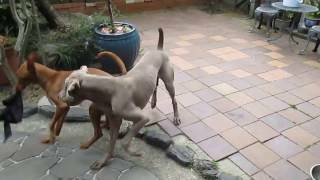 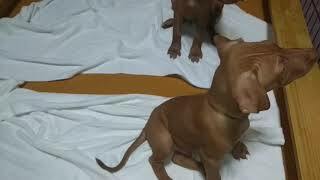 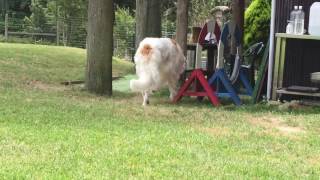 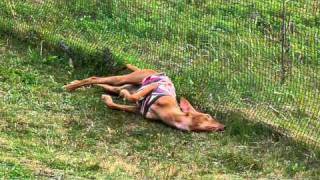 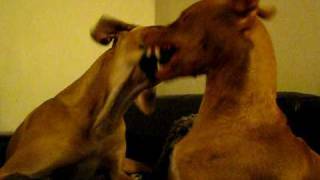 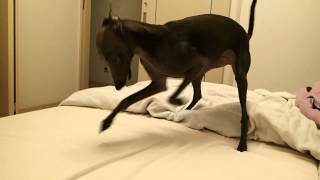 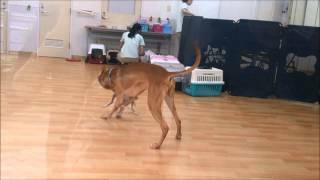 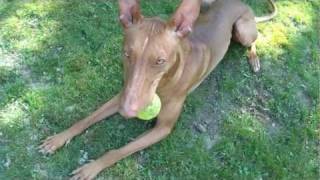 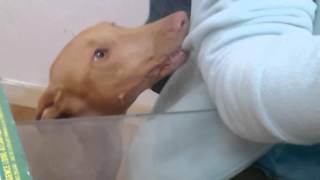 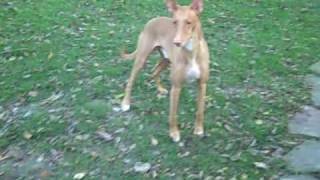 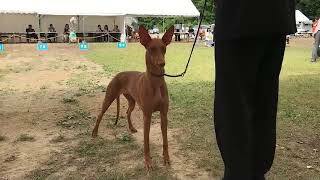 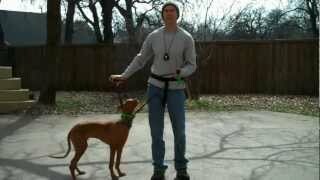 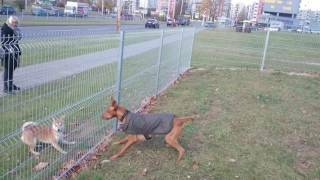 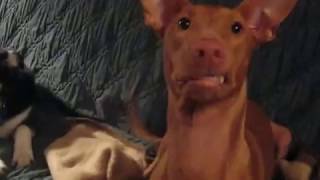 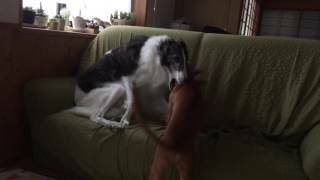 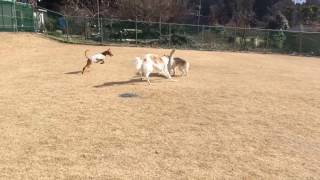 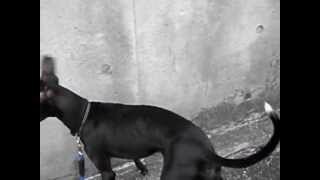 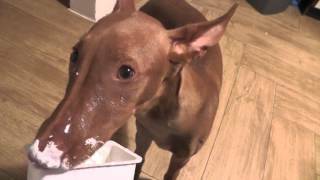 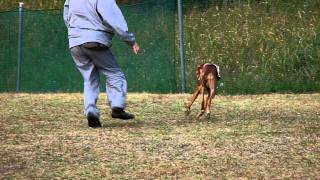 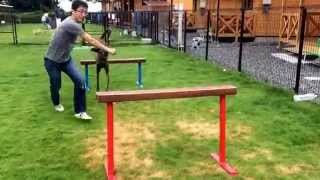 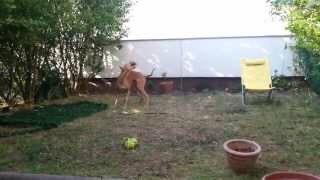 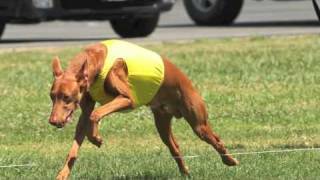 Dahlia the Pharaoh Hound jumps in slow motion! 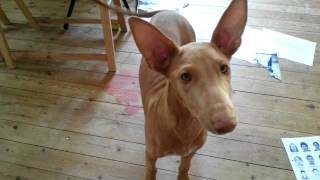 Dahlia is a very happy 7 month old Pharaoh Hound. 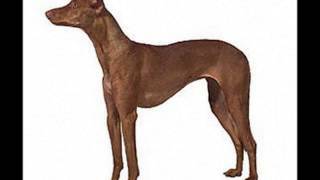 The Canaries pharaoh hound with green eyes.